It’s the end of the world as we know it – or at least as we’ve known it for the past seven years. The money for nothing that fueled government spending, emerging markets and the allure of risky financial assets will start going the way of disco in 2016 as the U.S. Federal Reserve raises interest rates. 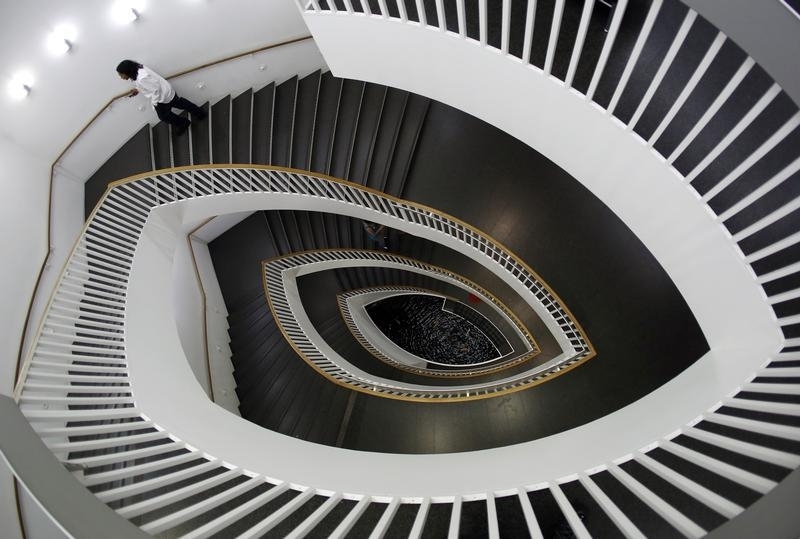 For nations and corporations with strong balance sheets, it could be a welcome shift – even a stairway to heaven. For overvalued businesses, profligate governments and high-yield markets, danger lies ahead – perhaps a highway to hell. That’s the theme of Reuters Breakingviews’ Predictions 2016, a collection of financial insight aimed at giving readers a jump on the year ahead. If the past is any indication, many of the pieces will be pitch-perfect. A year ago we said Deutsche Bank would oust its leaders and accounting fraud would become a top regulatory priority. Bingo. But we also forecast oil at $80 a barrel and a cooling mergers and acquisitions market. Right or wrong, our goal is to offer intelligent and provocative ideas in our typically pithy format. This year’s book is divided into four classic rock-inspired sections: The Thrill Is Gone, Anticipation, A Hard Rain’s A-Gonna Fall and Won’t Get Fooled Again. In the first category, we are doubling down on our view that mergers and acquisitions have peaked in America. Also look for oil-rich nations like Saudi Arabia to start raiding sovereign wealth funds to pay for social stability. A new U.S. president will take office just in time to battle the first recession since the financial crisis, and old-school interest rate indicators make a revival as the Fed raises rates again. Quarterly reporting will get a rethink – a prediction British insurer Legal & General just proved true. Activist investors will roam again and may move the earth under U.S. machinery maker Caterpillar. Many nations and companies will be judged on how well they anticipate challenges in the new monetary environment. Brazil’s economy will probably get worse before getting better, but the rule of law should help the nation emerge stronger from its crisis. China will allow Facebook to re-enter the Middle Kingdom, and entertainment juggernaut Walt Disney will rocket higher with the Star Wars franchise. Meanwhile, prudent banks will spend the year preparing thoroughly for Britain’s possible exit from the European Union. Tough times are ahead for the likes of Valeant Pharmaceuticals and other corporate rollups that padded profit with cheap money and financial engineering. The overall earnings of U.S. companies will take a hit from competition, disruption and tax policy after accounting for a historically high share of economic output. Elsewhere, big energy companies will scramble to account for decades of downplaying climate concerns. And lousy governance could force wrenching changes in the boardrooms of Volkswagen and Glencore. Anyone who vows not to get fooled again almost certainly will. A world hunkering down for more sub-$50 a barrel oil will breathe a sigh of relief as the price rises – wait for it – past $80. Media moguls who once considered Netflix an ally will come to view the video-streaming service as a villain, and companies will probably regret some of the self-aggrandizing titles they splashed on the covers of their annual reports. Even the Fed, having confidently raised interest rates, may wind up having to cut them again as 2016 draws to a close. We also have predictions about Prada, HSBC, Argentina and other topics. And if you want to know what country will bring home the most medals from this summer’s Olympics in Rio de Janeiro, check out our calculator. Prescient but imperfect, and with dated taste in music, we nonetheless promise to cover the coming year with the clarity, speed and insight that you expect. Join us now for a glimpse of the near future. Stick around to see how it all turns out.